But what do we really get to see? 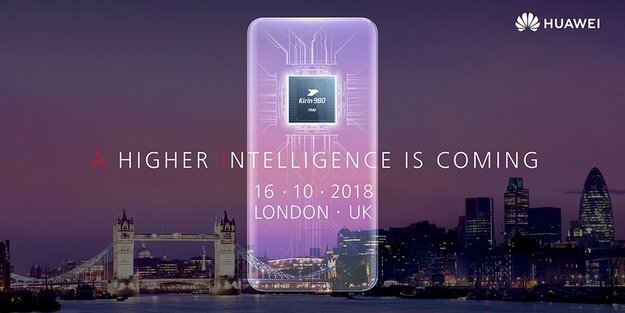 The Huawei Mate 20 and Mate 20 Pro – that should be clear. This has been done for weeks advertising, there were countless leaks and we now know that, for example, the Mate 20 Pro a dual-edge display, a triple camera and the fingerprint sensor will be installed in the screen. But that should also cost a whole lot of money. The Mate 20 is cheaper and perhaps for some people the better phone. It is unclear whether both really come to Germany. We’ll find out later. But there are more. Details about the new Huawei smartwatch leaked last week . A very interesting approach, which waives Google’s Wear OS and instead focuses on the sport. Lower the price and could increase the interest so. Even more interesting is the second generation of FreeBuds. Huawei tried to kill Apple’s AirPods last year – it did not work. Now you have with the FreeBuds 2 Pro probably many disadvantages of the first generation fixed . Especially the wireless charging function of the case would be an advantage over the Apple headphones. Brand new will probably be a memory card. At least the Mate 20 Pro, as currently known, wants to get back a memory extension donated – but works with special memory cards from Huawei. ” Nano Memory Card ” is the name of the new standard. There is no information about prices. The maximum capacity should be around 256 GB.